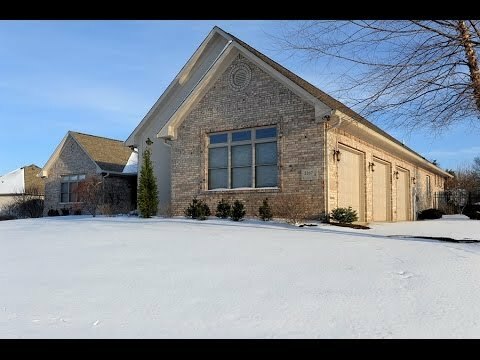 Custom built home completely remodeled from top to bottom in 2013. This home featuring a open floor plan with a formal living room, dining room, great room open eat-in kitchen combo, 4 bed rooms, 4 full baths, marble/granite counter tops, hardwood and travertine floors. The basement features a large bar, work out area, media room in which all the video and sound equipment stay. At custom built home pricing of at least $150 a square foot this home would cost over $750,000 to build not counting the lot. Take the time and look at this home I don’t think you’ll be disappointed. Indianapolis south on US37 turn Lt. on Stone Crossing Rd. then Rt. on S. Morgantown Rd. then Lt. on Oakleigh Parkway then then Lt. on Pearcrest Way then Rt. on Waterside Ct. and follow to sign.